Teaching your children to read early is the key to their academic future, providing a range of benefits for their developing brains. 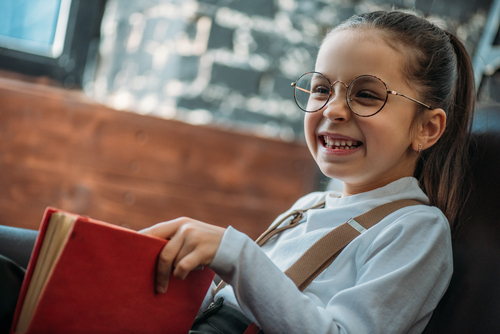 While working with experienced reading tutors is a great approach for many children, specialized books written specifically for their level can help them practice their skills and build confidence, as well. The tutors at Reading in Preschool, located in New York City, offer effective and accessible teaching books for those who live outside the Manhattan area but want to help their children improve their skills. The First Level of Reading in Preschool Teaching Books will help you effectively teach your child to read before the first grade. This set of 35 books was created for children between the ages of three and six, and it uses a unique phonics-rhyming method. Each book comes with flash cards and activity pages to reinforce the consonant-vowel-consonant (CVC) words your child learns, helping them build their reading comprehension. Your child will learn new words, including 40 sight words, in a year or less with consistent practice. Reading aloud with your children is one of the most important activities you can share with them. Young children learn to speak, bond with their parents, and increase their literary skills when their parents routinely read books with them. Not only does taking on the role of a reading tutor with your children boost their vocabulary and spelling abilities, but it also helps them develop a sense of independence and confidence. Choosing The First Level of Reading in Preschool Teaching Books makes learning to read an enjoyable, interactive experience, creating a foundation for a lifetime of learning. The preschool education professionals at Reading in Preschool use a proven, effective method to teach advanced reading skills to children at a young age. Give them a call at (917) 723-1159 to speak to a reading tutor. You can also visit them online to learn more about how they will help your child.